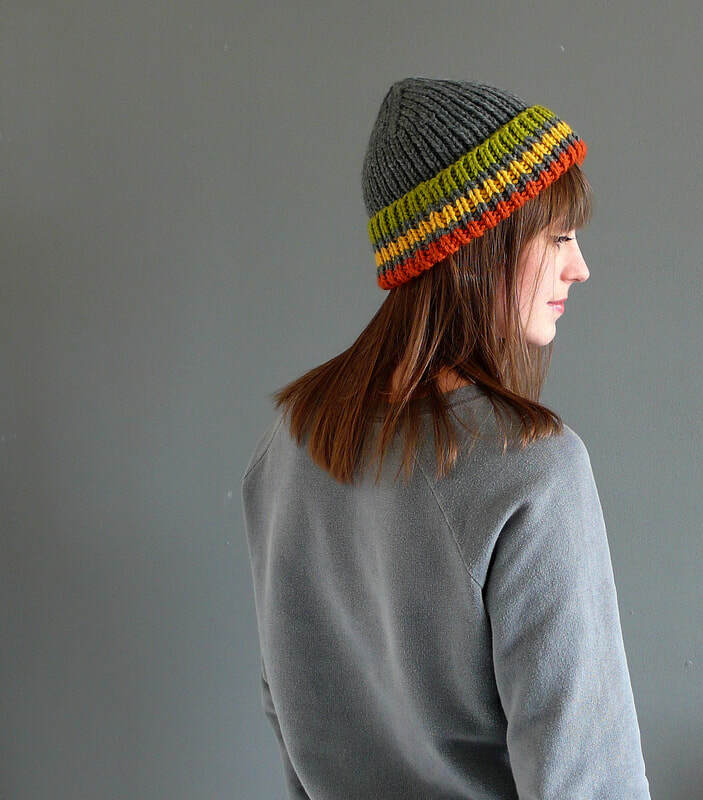 The Pick’n’MIx Beanie is an excellent way to brighten up your outfit and stay toasty warm. It features a wonderful spiral crown design that makes it fit beautifully on the head and has a large turn back that helps to protect your ears from the cold. 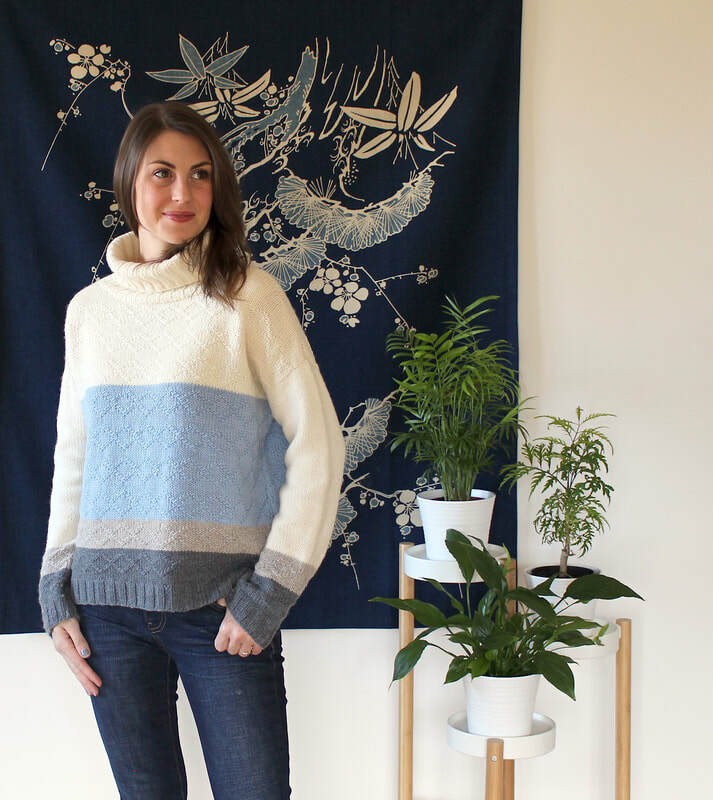 I have just updated my Sunday sweater pattern with a new turtleneck neckline which is just wonderful for the super cold months. For the next week I would like to offer you all 10% off this pattern. Enter code Sunday10. This gorgeous set of accessories is the perfect combination for when the temperature starts to drop. The stunning stitch pattern they are worked in has an amazing texture that resembles armour and catches the light in a wonderful way. 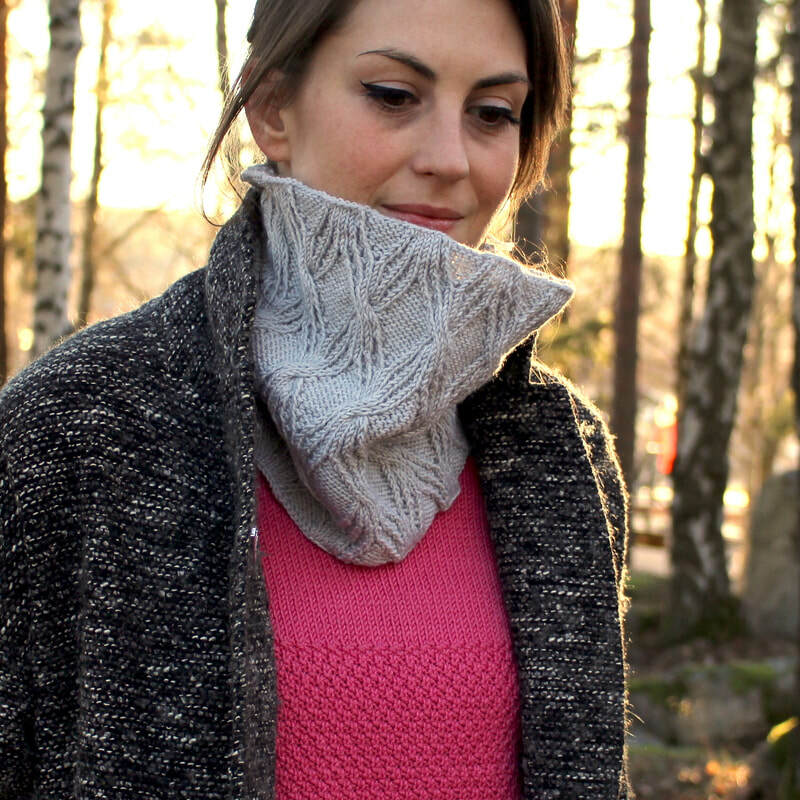 The cowl is designed to sit closely around the neck to keep the cold winds out, whilst the fingerless mittens have a slim fit so they can work with any outfit. Its that time of year when thoughts are going towards the holiday season and being with your loved ones to celebrate. So it is today I am launching my winter 'Made with love sale and until the 6th January 2019 you can get 15% off all my knitting patterns by using the code MADEWITHLOVE18. The feeling of Autumn arriving is always an exciting one for me, there is a change in the air and before you know it you’re surrounded by beautiful colours and have the crunch of leaves beneath your feet. It also signals the time to bring out all the wonderful knits that have been packed away all summer! This new scarf is inspired by this change and features wonderful stepped edges that have a real impact. 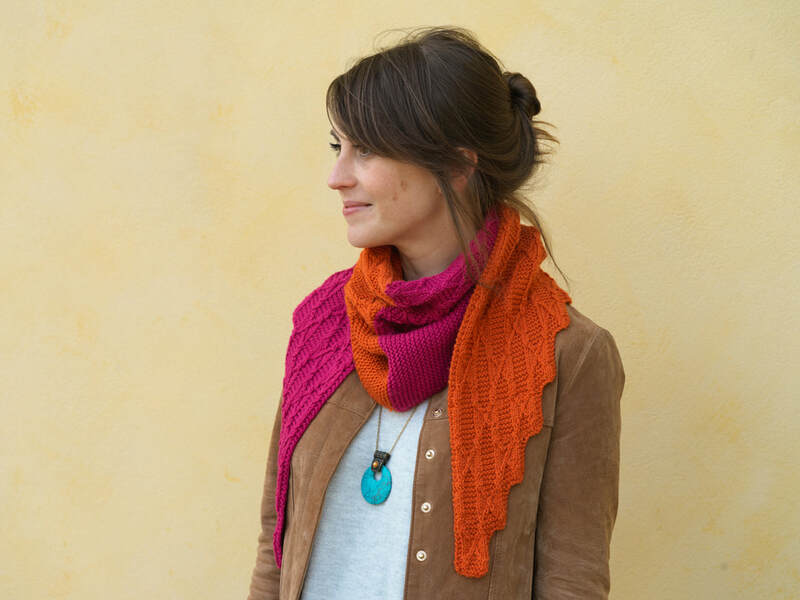 The overall V-shape makes it versatile as it can be worn around the shoulders or wrapped around for more warmth, it can also be made longer and wider by adding extra pattern rows in the central section. The shape is helped by the use of a beautiful reversible stitch that makes the scarf lie flat and moulds around you perfectly! On those chilly evenings what could be better than getting under a toasty warm blanket and feeling like you’re at the beach in the sunshine! 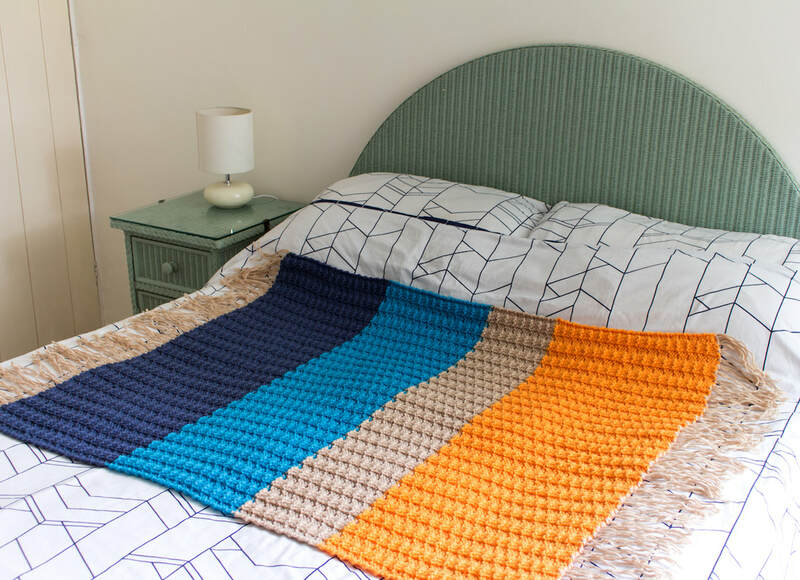 This blanket is worked in a great reversible stitch that has a bold horizontal design and resembles its name, braided bamboo. 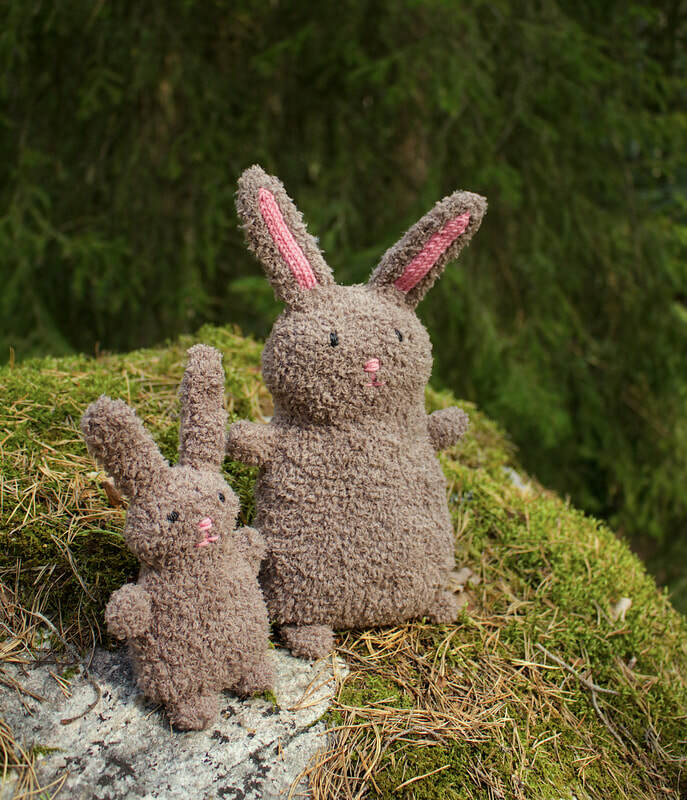 The pattern is wonderfully simple and as it is knitted in a chunky yarn it is super quick to work up. To coincide with a big move from England to Sweden I am having a huge 20% off sale of all of my one off hand knitted products. 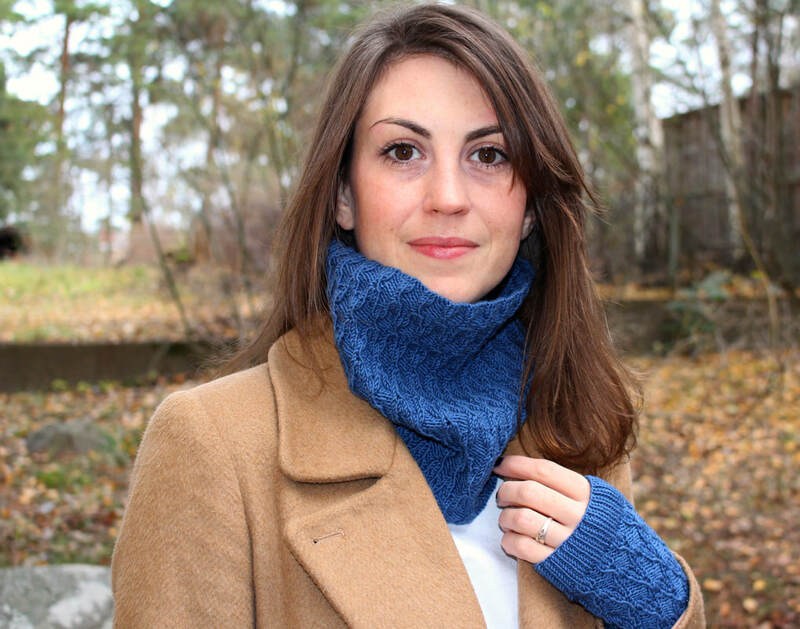 Enter Coupon code MADEWITHLOVESALE for discounts on all Hand Knits! 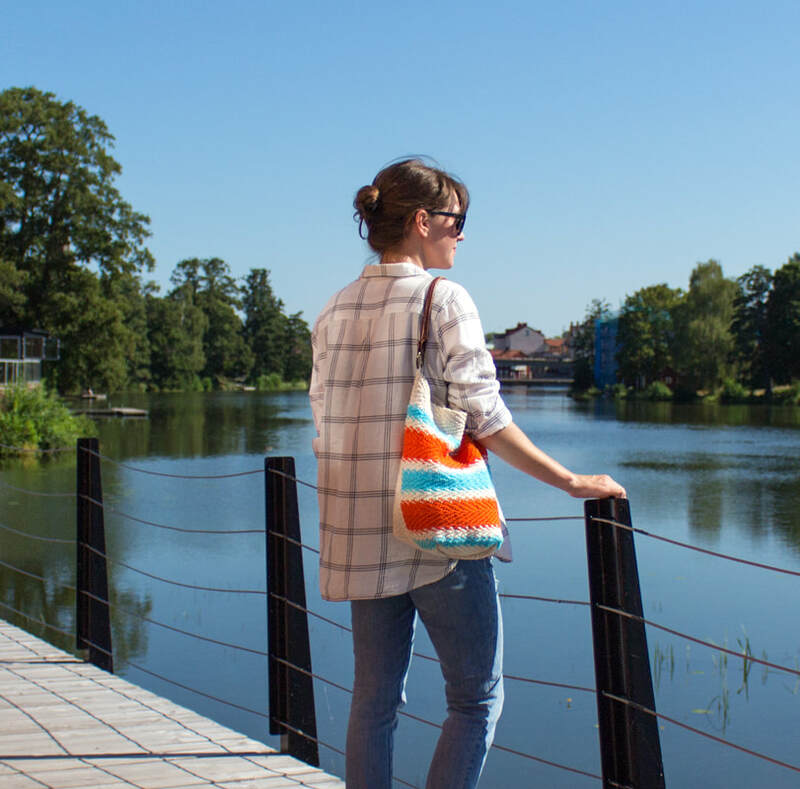 ​This long scarf has a stunning beautiful surface texture which has an immediate visual impact. 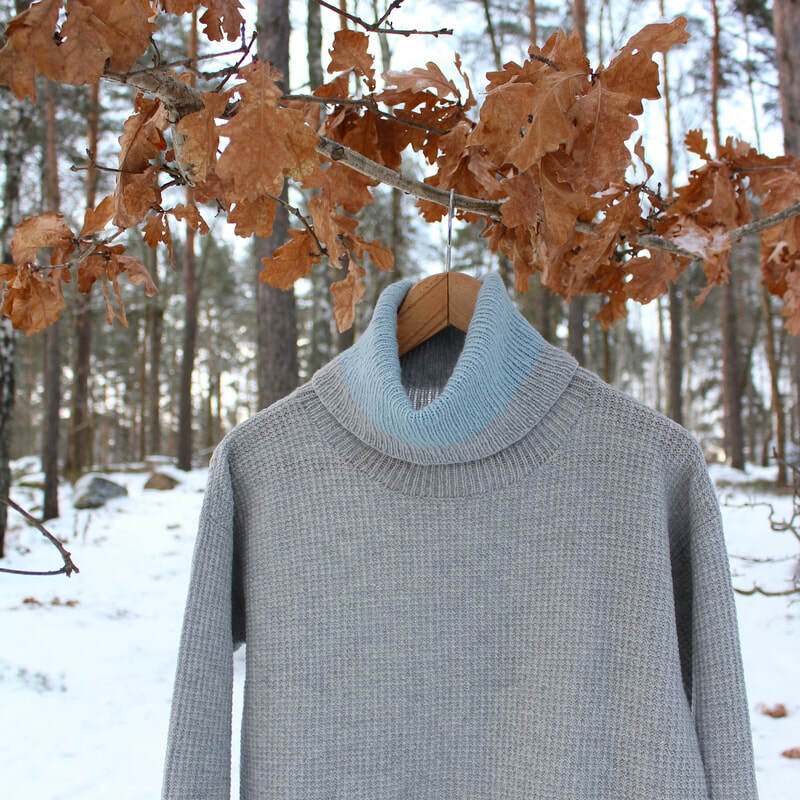 The stitch is made up of ribs undulating around blocks of double moss stitch, this combination creates a dense fabric which traps heat making it wonderfully warm and perfect for cold winters days. 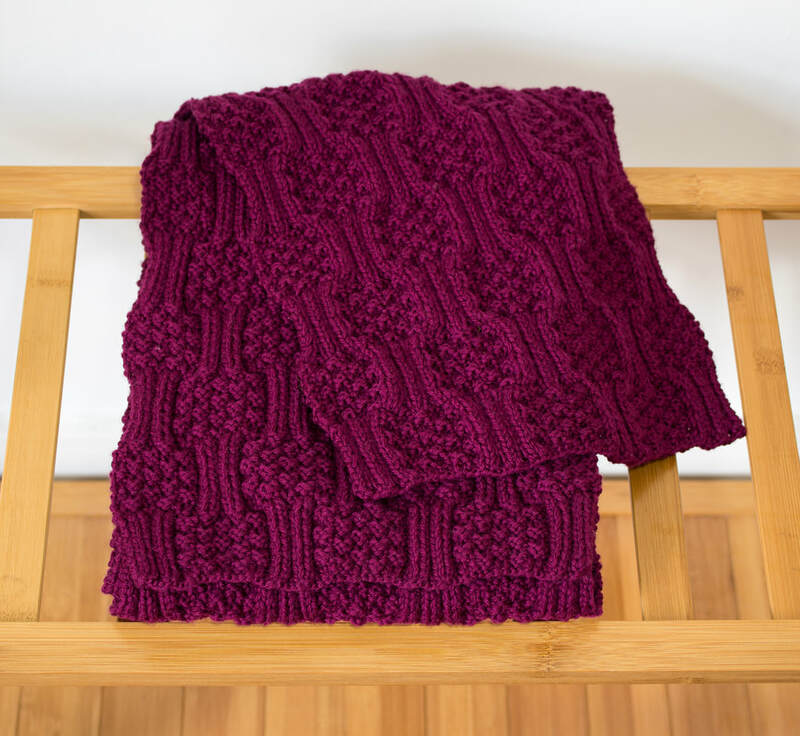 The pattern looks complicated to knit but is surprisingly easy once you get going and would make a great project for beginner knitters wanted to try something a bit more advanced.